The dream of a Europe without frontiers has nearly come true. This means new possibilities, but also new challenges. 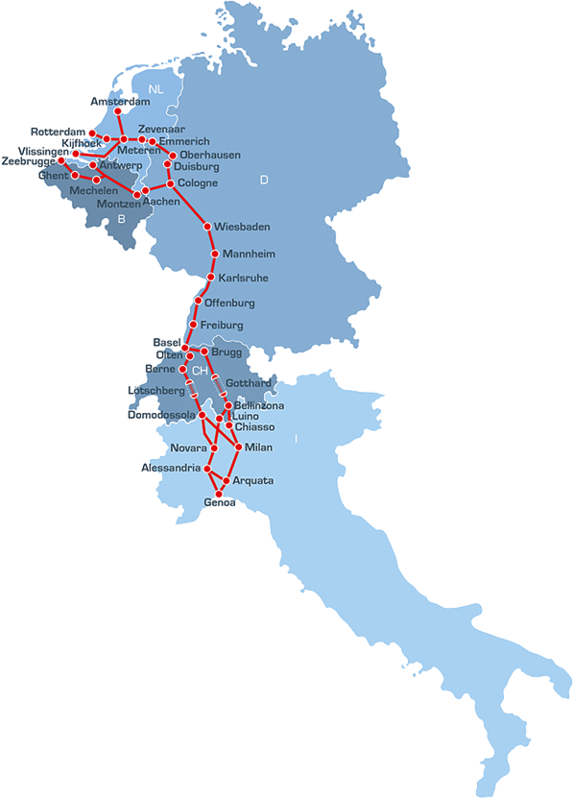 The Corridor Rhine-Alpine is a project to improve rail freight transportation in Europe and to encourage modal shift from road to rail. The EEIG Corridor Rhine-Alpine has created this website to give general information about the project and its objectives as well as provide access to professional information needed by our customers.